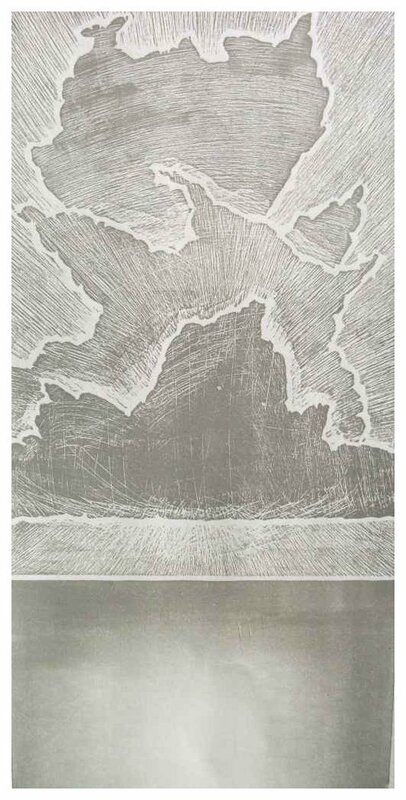 Seacloud , 2008 .19 cm x 40 cm .single-block print on Somerset paper in an edition of 40 . I spend far too much time staring at the sky . Do not try this on a bicycle . This one uses my scratch / bite technique in a metallic grey , to describe bright light behind a triple cloud-mass over the sea .